H2O Bistro: A Top Sarasota Restaurant Right in Our Lobby. Our Local + Fresh Commitment. At H2O Bistro, we are committed to bringing you the freshest local produce, seafood, meats, dairy and eggs that Sarasota County has to offer. We believe that purchasing whole ingredients from nearby family farms and markets is not only better for your taste buds, but also better for our community. Some of our local vendors are: Abby’s Kitchen, E&L Clam House, Sarasota Coffee & Tea Co., Mike’s Pies, Central Market, Dakin Dairy, Cakes by Ron and more. View our menus for Sunday brunch, breakfast, lunch, and dinner, as well as our bar and desserts. 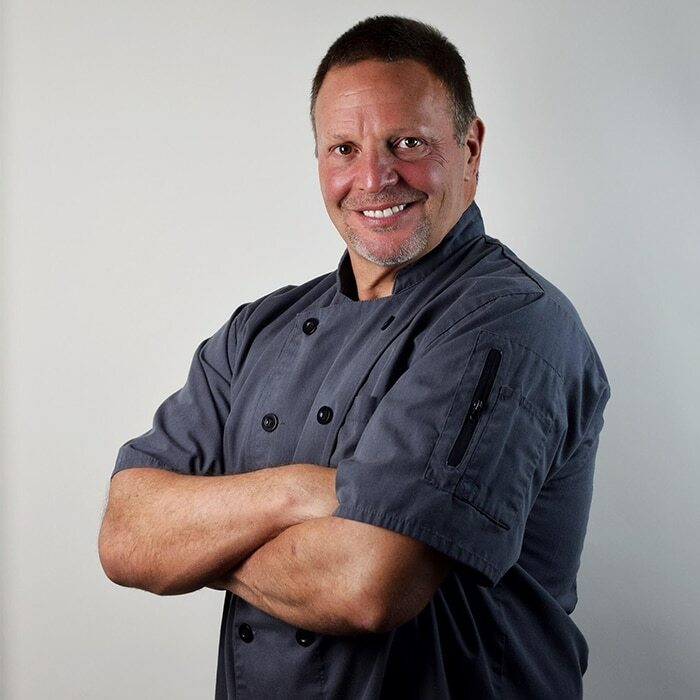 Chef Solomon Shenker, a native of Kings Point, Long Island, is the Executive Chef of H2O Bistro in Hotel Indigo Sarasota. With over 38 years of cooking experience, Chef Sol worked his way to the top. He started out washing dishes and making pizza dough in family-owned kitchens in New York. Working in the kitchens is where Sol found his passion for food. Sol eventually was scouted by a professor from the Culinary Institute of America, where he graduated in 1983. Sol has a love of fresh ingredients. He uses local fish and fresh herbs in many of his dishes, including his cioppino. Chef takes advantage of his coastal surroundings to create a cioppino that is bursting with fresh flavors. Chef also brings the flavors of New York to SRQ with his locally-adored cheesecake. Sol perfected his cheesecake prowess in New York City and creates his sweet treats from scratch on a daily basis. Hotel Indigo Sarasota is where Chef Sol’s culinary career took off. And after cooking in multiple establishments around the SRQ area, Sol is back where it all started.